With extreme sadness, we must, once again, be the bearer of bad news from the world of British comedy. 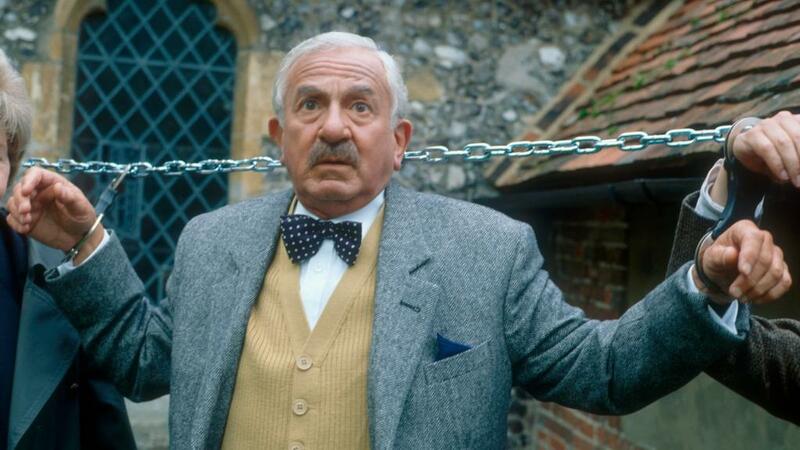 John Bluthal has passed away at the age of 89. Known to British comedy fans as Frank Pickle, the meticulous minutes-taker and member of the Dibley Parish Town Council in the Vicar of Dibley, Bluthal also appeared early in his career as Fagin in the original West End production of Oliver in 1960 and in a Peter Hall production of Antony and Cleopatra with Judi Dench and Anthony Hopkins. While Bluthal was best known for his portrayal of what most certainly was the most boring individual in the town of Dibley, his career spanned over six decades. Bluthal’s screen credits read like a history of British comedy and drama. 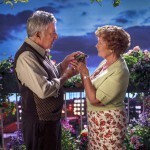 He goes back to the early days with Spike Milligan in what were widely considered the golden days of British television — the live TV era of the 1940s-60s. 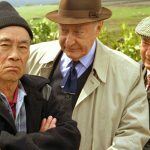 He appeared in episodes of ‘Allo, ‘Allo, Last of the Summer Wine, Jonathan Creek, Lovejoy, Inspector Morse, Rumpole of the Bailey, One Foot in the Grave and Reilly: Ace of Spies. His last film role was in the Joel and Ethan Coen film Hail, Caesar! in 2016 with George Clooney, Frances McDormand, Scarlett Johansson, Ralph Fiennes, Tilda Swinton and Josh Brolin. In between, Bluthal appeared in the Beatles films A Hard Day’s Night and Help!, not to mention roles in the unofficial James Bond film Casino Royale, three Carry On films and two Pink Panthers. Bluthal’s four-plus-year stint as the likable but notoriously boorish secretary of the parish council endeared him to British comedy fans worldwide. As the bane of parish council head David Horton’s existence, Frank Pickle chose the platform of “Radio Dibley” to declare his character’s homosexuality in a radio broadcast to the village. After over 40 years of keeping it secret, none of the villagers listened to his broadcast — except for Geraldine, who was with Frank at the time — because of Frank’s unofficial title of ‘The Most Boring Man in Britain” in series 2’s “Celebrity Vicar” episode. Even Frank admitted that his tendency to go on and on when given the opportunity has led to five people, including his parents, having died while he was talking. Not to make light of his six decades of stellar work in stage, television, radio and film, but fact that Bluthal was the voice of Commander Wilbur Zero in Fireball XL5 from 1962-1963 is nothing short of the coolest thing I’ve heard in some time. 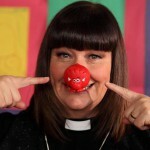 I screened a couple of Vicar of Dibley’s Christmas episodes just lat night. I felt sad to know that John Bluthal, Roger Lloyd-Pack, Liz Smith, and Emma Chambers are no longer with us, especially Chambers who was still so young, but they are all still making the rest of us augh thanks to the magic of film and telly. I always hoped for a reunion programme based on a comment from Dawn French a few years ago, but with these cast members gone now, I guess that is out of the question. Such dear, talented people all…..